My friend and fellow writer Lana Nieves invited me to participate in the Blogging for Access day. Lana is part of the Independent Living Resource Center in San Francisco, an organization that works to advocate for people with disabilities. Today’s focus is on access for disabled people…..and my admission that, like many people, it’s a concept I hadn’t thought much about. Admit it – when you enter or leave a building, do you take a close look at the entry or exit doors? The door handles? Have you taken a good, long look at your office? The restrooms in the building? The pathway to your car or bike? What about the mass transit bus that stops right outside your door? The seats at the ball field? Of course not. We take the infrastructure we live in, the conveniences we use, for granted. They are made for us, after all. For people who are differently abled, who are living with a disability, there’s no taking those items for granted. Pathways must be planned. Complications must be considered. I don’t think I’m a heartless guy, but I admit: I really hadn’t thought about this fact much before. I have long been aware of the American with Disabilities Act, and understand why it’s important. And certainly, there have been many improvements in providing access for people with disabilities. More accessible sidewalks, offices, and restrooms. More accessible, interactive public transit. I remembered being a student at Edinboro University of Pennsylvania, a school that has one of the leading programs in the country for students with disabilities. Edinboro had a great approach even those many years ago when I was an undergrad. There was no separate program for disabled students (as some institutions had) and students lived in the mainstream world. I had several friends and classmates who were wheelchair users. They lived in the same dorms (albeit on specially designated floors designed for their needs). We ate the same lunch, attended the same parties and suffered through the same hangovers! In the years since, however, I have to admit I just hadn’t thought much about access. But it’s been on my mind in recent months. Someone in my family had a stroke in the last few years, and it was an eye opening experience to hear about his access issues. Having ADA access in public buildings is one thing, but how do you mandate ADA access for homes? It’s a challenge where you have no wheelchair ramp to get inside, and a difficult to access bathroom. Talk about taking things for granted! I recently spent several weeks traveling, and on several occasions stayed in an ADA designated room. Sometimes the differences were noticeable. I heard the hotel guests next door complaining about their ADA room, and how the light switches were all out of reach, how oddly shaped the shower was, and how low the dressers were. I thought: You’re lucky. You can go home and have regular access, and never have to think about this again. I respect the ILRC and the work they’re doing. We need to advocate for access for our disabled brothers and sisters, and continue to improve awareness, access and design. 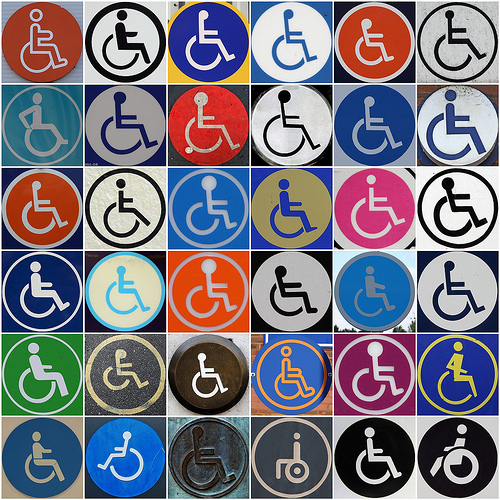 ADA compliance shouldn’t be a special fact needing an asterisk. It should be second nature.